I reviewed all five of the design tips and I am ready to incorporate all five of the suggested design tips on the playground at my childcare center. Moreover, I want to share the design tips with you. 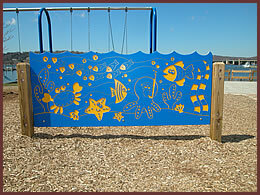 Having a theme on your playground enhances outdoor play. 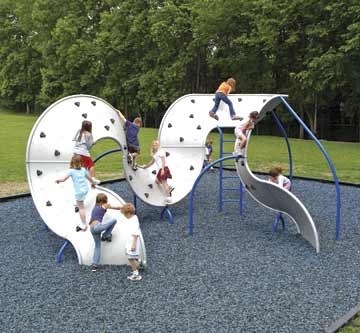 Furthermore, it promotes pretend play, social interactions and cooperative play outdoors. I also believe that parents would love the fact that their children are able to have access to this level of play. Theme ideas include:: under water, beach scene, sports, fairy tale or fantasy themes,etc. 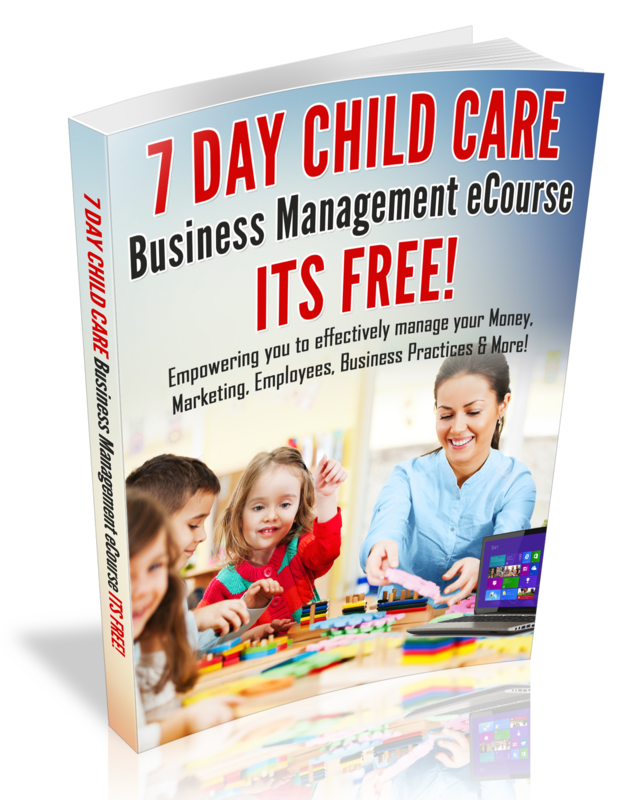 The average childcare facility cares for children ages 6wks-12 years of age and that is a wide range of developmental needs. Infants need equipment that is designed for early walkers and equipment that provides crawl space for exploration. Toddlers and preschooler love to exercise walk, balance, crawl over and under; crawl over, under and hide. According to Design for Fun, “Good accessible playground design provides participation, variety, physical comfort, and safety for all its users by incorporating rather than segregating differences.” The next time that the children are outdoors look for accessibility. If you do not see it, it’s time to work on good accessibility. Does your playground have a meeting place? A meeting place is simply a central gathering place for the children to stop and talk with one another or simply rest from play. Many centers want staff moving around, however, it is a good idea to have a meeting place for adults as well. This would be a great way to inspire parents to visit your playground. 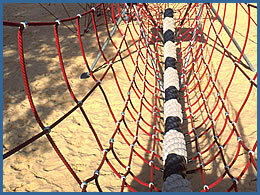 Looking at the photo above has inspired me to add a place where children can climb or walk across ropes. I remember walking across a path similar to this a Silver Dollar City in Branson, Missouri and it was an awesome experience. I can only imagine what a child feels when her or she walks across a roped bridge. I hope that you have been inspired to create a successful design on your playground and most of all, enhance the play on your playground!